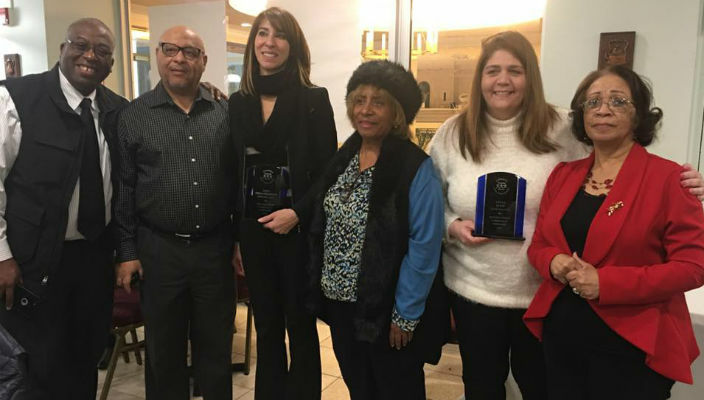 Hofstra administrators Anita Ellis and Teresa Grella-Hillebrand were each named “Distinguished Community Visionary” at the Hempstead-based Cameron Civic Association’s 20th anniversary awards luncheon this month. 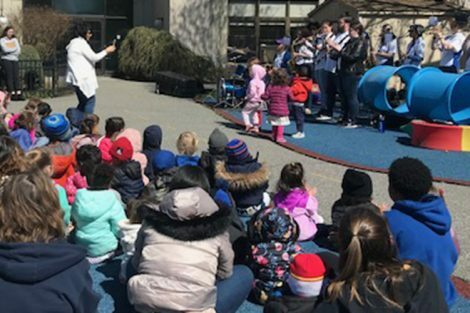 Ellis, the director of the Office of Commuting Student Services and Community Outreach and a Hofstra alumna, oversees several student-driven volunteer efforts throughout the year to help the local neighborhoods including the annual Shake a Rake and Snow Angels cleanup efforts as well as holiday donation drives. She is a familiar face at community events, and serves as a liaison between the University, students, and local residents and organizations. Grella-Hillebrand is the director of the Counseling and Mental Health Professions (CMHP) Clinic at the Saltzman Community Services Center at Hofstra University, as well as an alumna and adjunct instructor in the School of Health Professions and Human Services’ Marriage and Family Therapy graduate program. For the past three years, she along with staff and interns from the CMHP clinic ran multiple support groups for men, women and teens on Friday nights at Antioch Baptist Church in Hempstead. Featured image: Teresa Grella-Hillebrand (third from left) and Anita Ellis (second from right) pose with town officials and Cameron Civic Association members.